The before and after care of your brows and lashes are vital to ensuring their longevity and durability. If you properly care for your brows and lashes once we’ve completed our work, you’re less prone to infections or bad reactions to the procedures. We always give our clients preparation and aftercare tips when they book an appointment and complete one of our services, so even if it’s your first time receiving of our services, you won’t be lost on how to care for it afterwards. 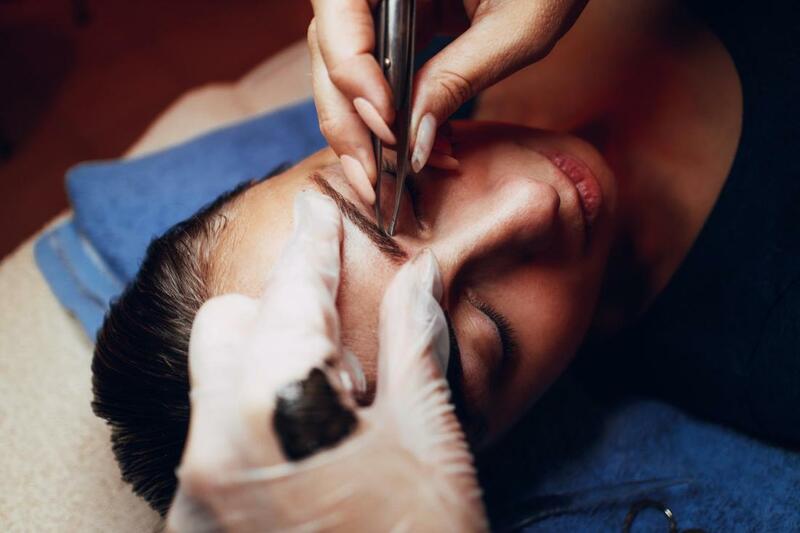 Whether you’re getting brow or lashes services done, preparation for these procedures is vital to ensuring your face and skin are well-prepared and can handle the process. For procedures like eyebrow ombre and microblading, we advise our clients to take some preparation steps beforehand that include: not consuming alcohol or caffeine a few days prior to the appointment, as well as taking medications that could thin the blood, such as Aspirin; along with advising customers not to wax or tweeze the eyebrow area prior. Similarly, to eyelash services, we ask that your face, brows, and lashes be clean, makeup and product-free. After receiving brow and lash services, you may experience some tenderness, swollen skin, and redness. You shouldn’t worry as most of these side effects will subside on their own and with proper aftercare. However, you may also not be able to revert back to your daily beauty routine without making a few adjustments. If you get ombre and microbladed brows, you’ll have to put down your makeup and face scrub for a few days until your brows have fully healed. You’ll also need to avoid swimming or getting the brows too wet during shower, as the bacteria from the water could infect them or cause them to fade early. The products you use, once you’ve had your brows and lashes done, is also important to maintaining their appearance. You’ll need to opt for softer products that don’t contain Lactic or Glycolic acids, as these will induce fading. Avoid heavy makeup and extra oils that could cause buildup or bacteria around the affected areas and use a sunscreen daily until your brows have fully healed. During the healing process, your brows will likely peel or scab over, which is normal. We recommend not pulling or picking the flakes or scabs, but rather letting them pass naturally as your skin heals. Very few of our brow and lash services are permanent, touch-ups are inevitable and often required to keep your brows and lashes looking clean and groomed. We’ll recommend how often you may need touch-ups, as it varies from client to client and their type of service. Touch-ups are usually performed quicker than the initial process, as we’ll simply just need to refill or retouch smaller areas to keep the brows and lashes even. As with all of our services, we’ll always recommend a before and after protocol to keep the process clean and easy.